Frank Frenzy Spins it up! Featuring the live recording from I Love Red Wednesday’s with Frank Frenzy at Frankie Dee’s, 2318 Lakeshore Road West, Bronte Village, Oakville. Overview: For over a decade Solarstone (Richard Mowatt) has been roadblocking dancefloors with a procession of illustrious club classics, all-out anthems and critically acclaimed albums. As a DJ, he performs weekly at clubs around the planet, and for globally recognized names like Cream, Amnesia, Ministry of Sound, Gatecrasher, Full-On-Ferry, Zouk & numerous others. Releases from Solarstone’s manifold label projects (Touchstone Recordings, Solaris Recordings, solarSwarm, Crashing Waves & Molecule) provide the building blocks of his inimitable sets and are consistently supported by the trance & prog spinning elite. 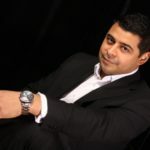 Solaris International – his weekly show – enjoys a dedicated fan-base and is now broadcast across some 45+ FM & Internet stations. Solarstone – The Music: Originally a 3 piece, Solarstone blazed a trail through the emergent days of trance, making their name with the club hits like ‘Green Light’ (1995), ‘The Calling’ (1997) and ‘The Impressions EP’ (1998). As the first trance wave peaked in ‘99 Solarstone left an unforgettable mark on the scene with the Top 40 hit ‘Seven Cities’. The track – among the first Balearic Trance anthems – has been re-released 3 times and has sold in excess of ½ million copies. Remixed in 2002 by Armin van Buuren, its instantly recognizable sunset/sunrise-sound legacy is still heard in tracks today. Over the following 6 years Solarstone continued to feed the floor masses with tracks like ‘Solarcoaster’ (2003), ‘Speak in Sympathy’ (2004), ‘Eastern Sea’ (2005) and ‘Like A Waterfall’ (2006). In May 2008 he put out ‘RainStarsEternal’ – an album described by DJ Mag as “a consummate all-rounder”. ‘R.S.E.’ spawned six singles including ‘4ever’ and ‘Late Summer Fields’ (which Richard also sang and wrote lyrics for) and a remix edition ‘RSEMIX’, with reworks from artists such as Ferry Corsten. ‘Touchstone’, RSE’s follow up, was a concerted effort by Richard to chart the inspirations that makes up Solarstone’s musical psyche. Press and fans embraced its concept widely, with Tilllate calling the album “fantastic” and “beautifully produced” and Mixmag labeling the title track “the summer of ‘99 recalibrated and refined for 2010”. PURE: Two years later Rich struck a blow for the music with which he’d made his name. A reaction to the fragmentation of the sound, the ‘Pure’ album was a roots-return, which redistilled trance and restored its cornerstone sounds to his productions. Richard collaborated with other producers embodying the ethic and by the summer ‘Pure’ had become a rallying cry for the scene’s core fans. The album has thus far generated four singles, ‘The Spell’ (“a revelation” – EDM Magazine), ‘Fireisland’ (with Aly & Fila), its title track and ‘Falcons’ (with Giuseppe Ottaviani). With this call-to-arms resonating hard, Pure was spun off into the Pure Trance tour, which saw Rich and other likeminded DJs (including Protoculture and Orkidea) bringing its ethic to venues around the world. On the compilation front in 2006 he released the Solarstone 1.0 1999-2006 wrap-up album ‘AnthologyOne’ and in the spring of 2009 Richard launched his next compilation venture. Born from a longstanding love of pop art, Electronic Architecture won immediate acclaim for its imaginative concept. It was hailed as “a magical blend of music, art and design” by Tilllate Magazine, a “genuine gem” by DJ Mag and in March 2010 was nominated for an IDMA award in the Best Full Length Mix category. Two years later Electronic Architecture² (Or Electronic Architecture Squared) was released to similarly high praise, with MIXMAG’s giving it their Album of the Month award and saying it “captured the essence of what we all love about trance”. To celebrate its release Richard commissioned the Electronic Architect online tool, which allowed fans to design their own version of the cover art. In October of 2011 the album received a special, limited edition ambient/chillout version. Solarstone – The DJ: Solarstone behind a pair of CDJs is something that every electronic dance music lover, planet-wide, should witness at least once in their clubbing ‘careers’. Richard brings together a clear love of melody with an intrinsic, perceptive aptitude for floor-quaking performances. Since learning to spin in the late Nineties, he’s played some of the most renowned names (inc. ASOT 550, Cream @ Amnesia, WMC, Full-On-Ferry, Ministry of Sound & Gatecrasher) and spun alongside the worlds best-known DJs many times over. Unlike many other spinners he also maintains a huge home country following, playing almost as much to UK audiences as to ones abroad. Richard’s worldwide travels have also taken him to some of the biggest events and festivals across the globe, and also some of the most remote. Over the years these have included islands in the Philippines, bush parties in Australia and massive festivals in the heart of Brazil. Solaris International – The Solarstone Show: Solaris International is Richard’s long-running, widely syndicated radio show platform. Its weekly hour-long format includes features like the Progressive and the Uplifting Selections, Not The Kind of Thing We Usually Play, the Big Tune and the Chill Out Moment. From its early cult following, over the last four years the show has developed into a tune-in essential for broad cross-section of the electronic dance community. Solaris International is broadcast across some 45+ FM & Internet stations to a listenership now in excess of 8 million, receiving its first airing on every Tuesday at 18:00 GMT/ 19:00 CET on Afterhours.FM. In 2012 it celebrated its 300th show. Solaris, Touchstone Recordings, Crashing Waves, Molecule & solarSwarm – The Solarstone Labels: Opening for business in August 1999, Richard co-owned, A&Rd and managed the Deepblue imprint – the launch pad for a multitude of club hits (including ‘Like a Waterfall’, ‘Jump the Next Train’ & ‘Why’). He eventually parted company with the label in July of 2008. Alongside his progressive/experimental imprint Molecule and Crashing Waves, which releases more uplifting fare, he also owns and manages the Solaris Recordings. 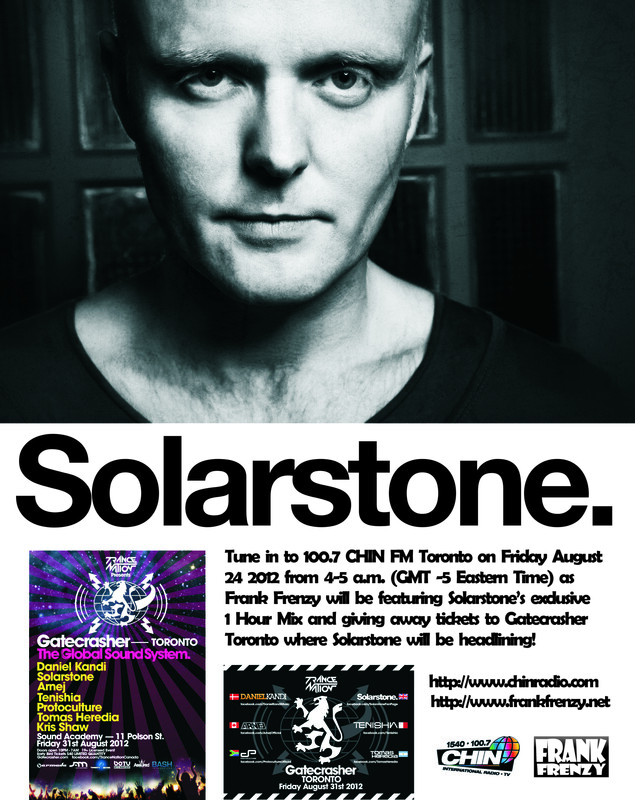 At the start of 2009, Richard launched solarSwarm, an online community record label for die-hard Solarstone fans. In the summer of the same year his insatiable label morphed into solarSwarm Recordings. In a ground-breaking move solarSwarm became the world’s very first social network record label. In 2012 he added Touchstone Recordings to the stable, which became the launch point of a new single & album deal with Holland’s Black Hole Recordings. Solarstone – The Aliases: In order to showcase different musical perspectives & sounds, Richard has also recorded under a number of pseudonyms. In 2002 he initiated the 80’s-referencing Young Parisians outfit who scored a big debut with ‘U Write the Rules’. The act then skyrocketed with one of the 2004’s defining trance/prog tracks, ‘Jump the Next Train’. In 1999 he released the underground anthem ‘The Hymn’ by Skyscraper on 4D Recordings, latterly re-releasing it on his own Deepblue label. He’s also has recorded alongside Andy Bury as Space Kittens for Hooj Choons and Liquid State for Perfecto. 2012 saw him relight two former connections in one project. The natural successor to Young Parisians, he again reteamed with Ben Lost to form Federation – a new band-based live act. Drawing on a range of influences, from several decades, it was signed to Oakenfold’s Perfecto Flouro and has so far resulted in 4 Beatport top 10 charting singles. Solarstone – The Remixes: Over the years Solarstone has always maintained a rigid balance between original production tracks and remix works. He has remixed for A-list names like Paul Oakenfold (‘Bullet in The Gun’), Ferry Corsten (on Moonman’s ‘Galaxia’ and most recently ‘Gabriella’s Sky’) & BT’s ‘Calling Your Name’. He has also stepped outside his traditional zone to refashion tracks by legendary acts like Radiohead, The Human League & Sarah McLachlan. Most recently he has worked on remixes of Tiesto’s Allure project (on ‘Show Me The Way’), Aly & Fila’s ‘Still’ and Mory Kanté’s ‘Yéké Yéké’. Expanding the Pure trance ideology beyond his own material, most recently he’s delivered Pure mixes of Orkidea’s classic prog anthem ‘Unity’ and Lemon’s ‘We Can’t Fly’. Armin: ‘Solarstone sets the standard for the best in Balearic dance music’. Paul van Dyk: ‘I’ve been playing his music for more then 10 years now. Really looking forward to the new album! Tiësto: ‘Solarstone never disappoints… warm, beautiful and just amazing music’. Ferry Corsten: ‘Always been a fan of Solarstone. The new single Rain stars Eternal is an amazing track’. This entry was posted on Monday, August 20th, 2012 at 11:20 pm	and is filed under 2012 Shows. You can follow any responses to this entry through the RSS 2.0 feed. You can leave a response, or trackback from your own site.